A photograph of John Lennon and Leonard Nimoy has surfaced. This image has been photoshopped. 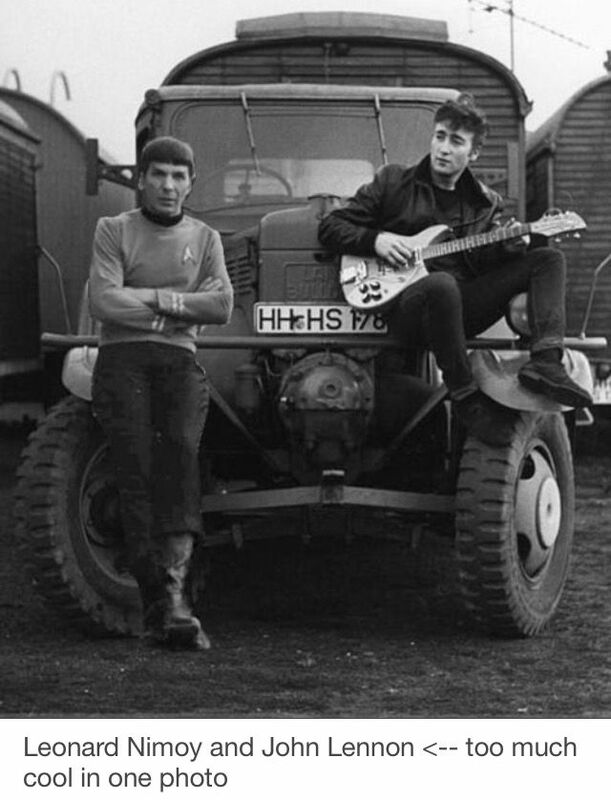 The original photo by Astrid Kirchherr reveals that John Lennon didn’t play guitar for Spock. There are other versions of this photoshop job. More information: John Lennon Plays Guitar for Spock? via Snopes.